Here you'll find the memories, preserved in audio, of Abbey and Cambridge United people: players, managers, supporters, officials and more. The quality of the recordings varies; their worth is immense. In the case of Frank Pettit, it's immeasurable. earliest attachment to the club, its rise from the Cambridgeshire League, the war years, the transition to professionalism, progress to the Football League and the reason for his departure in 1970. 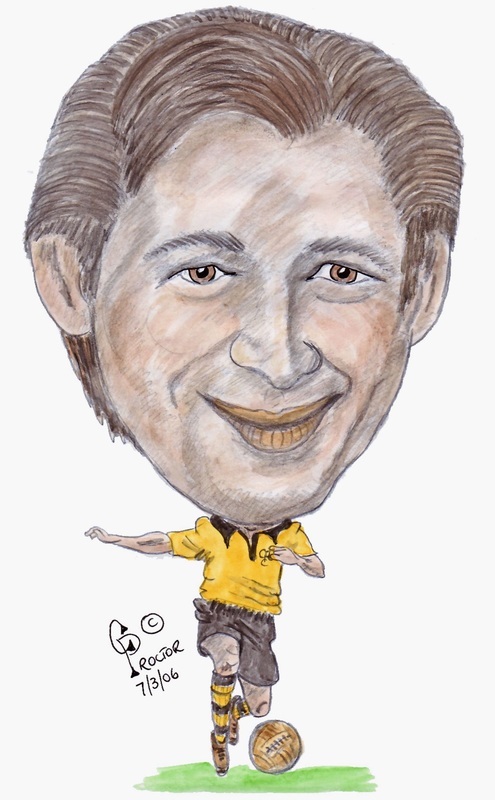 He also has a fascinating tale or two to tell of the characters who have helped to make Cambridge United great. George Anderson, one of four brothers who had big impacts on Cambridge life, talked to Mike Barnes in 2012. Ranging from the Abbey United of the 1940s to the football of today, George has opinions worth listening to. Brother Percy – footballer, angler supreme, all-round sportsman and unforgettable character – loomed large in George's life. He recalls people, places and games, and infuses all with unmistakeable Anderson humour. Percy Anderson: he was good at everything at which he tried his hand, says brother George. On one of the greatest days in United history, Tony Butcher (left, scoring his first) hit a hat-trick to secure the Southern League double of Premier Division title and League Cup. 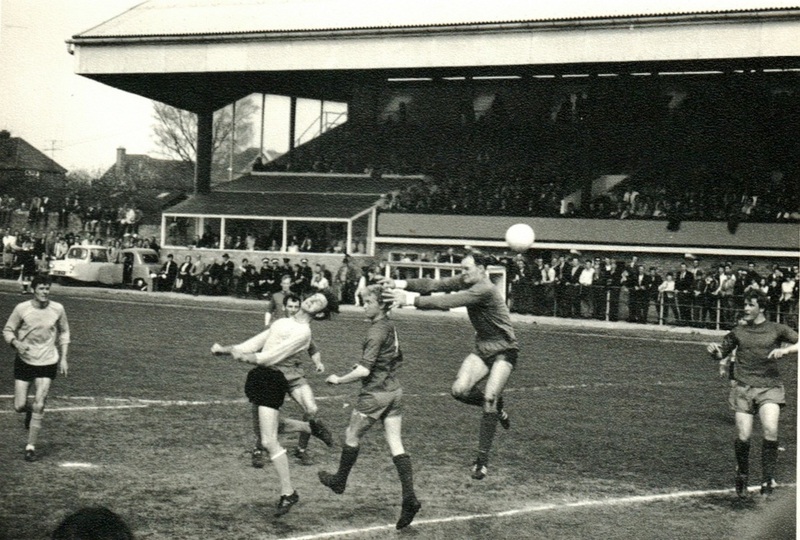 It was 3 May 1969, Kettering Town were the visitors and the result was an emphatic 3-0 win for the U's. Manager Bill Leivers had assured the board in 1967 that he would lead the club to the Football League within three years. The double was the first solid sign that he would keep his promise. Happily for all United fans, Don Hale was in the press box that day, commentating for Addenbrooke's Hospital radio. This recording is an invaluable document of an amazing day. Cheerio, everybody. Cheerio. after a record-breaking FA Cup run that had taken them to the quarter-finals, were vying with Chesterfield for the last Division 3 place. BBC Radio Cambridgeshire's Edwin Overland was in the commentary box alongside United's own Bill Leivers as John Beck led his tired but determined men on to the sacred turf. 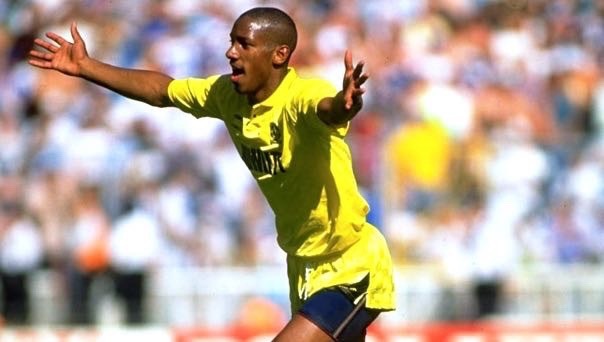 Dion Dublin (right) was among them. David Cullum, who grew up in Ditton Fields, used an unorthodox means of entry when he first went to watch Abbey United (read his story here). 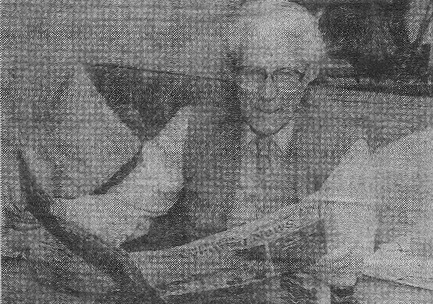 His encyclopaedic knowledge of the area stood him in good stead when he became a leading light of Barnwell & Fen Ditton Local History Society. He shared some of it with Mike Barnes as United's centenary celebrations got under way in 2012. 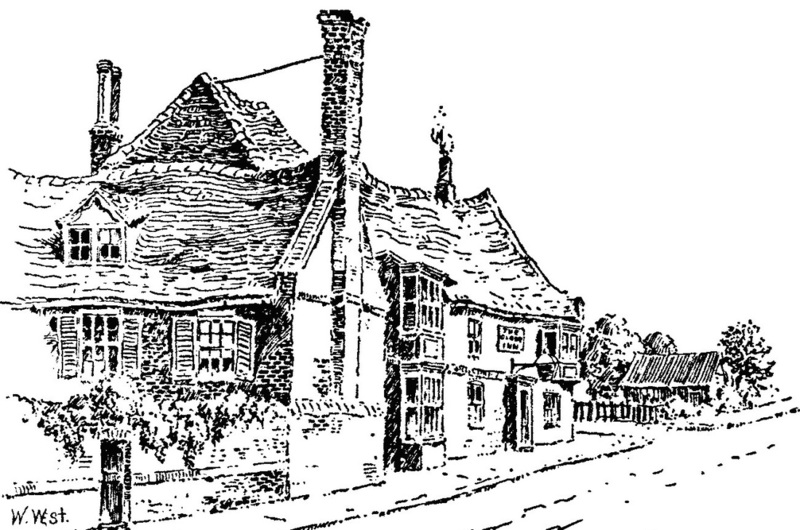 The Globe pub as it was depicted in Cambridge Revisited by Arthur B Gray, published in 1921. Later it became one of David Cullum's regular stops on a night out. Have you got a Cambridge United story to tell to Radio Coconuts? Get in touch here. Jack Morgan (left) holds a unique place in Cambridge United and Coconuts history: he was the man who first played I've Got A Lovely Bunch Of Coconuts, over a primitive public address system, at the Abbey Stadium (see Robin Mansfield's story here). over the many decades he was a regular at the Abbey; talked about his goalkeeper brother Arthur and his mother and father, supporters extraordinaire; and described how the fans have always got behind the club to help build it up from humble beginnings. 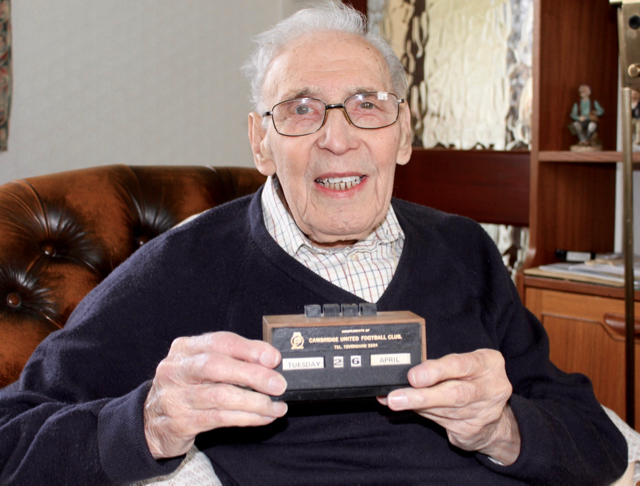 He was born in Chesterton in 1920, and he's believed to be the oldest living Abbey United player. Herbert Sanderson has been known as Tickle since his childhood – listen to the first part of his Radio Coconuts interview, recorded in April 2016, to find out why. The speedy outside right first played for Abbey United in 1938, and he went on to make 69 appearances, scoring 23 goals, as war affected football as much as it did every other aspect of life in Britain. In the first part of the interview he talks about growing up in pre-war Cambridge, while the second part is devoted mostly to his career at the club that became Cambridge United.